This much-loved actress was born Rita Gemma Gabriel in Dublin, in June 1950. Her family moved to the Southend area in 1960 and she attended the same school as another of our ‘alumni’, Helen Mirren, St Bernard’s Convent High School in Westcliff. She subsequently attended the famous Bush Davies School of Theatre Arts at Romford and joined The Little Theatre Club, a local amateur group. 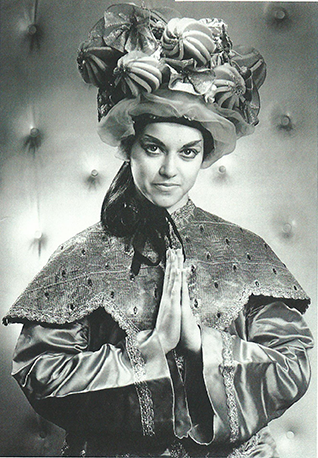 At the Palace Theatre, as a member of the Little Theatre Club, “Rita Craven” appeared as a dancer in Oklahoma (February 1966) and as one of the ‘Ladies of the Chorus and Dancers’ in The Pajama Game (November 1966). Her first credited role was as Mei Li in the Rodgers and Hammerstein musical Flower Drum Song (November 1967). Turning professional, “Rita” worked with Alexander Bridge’s Haymarket Stage productions at the Palace as performer and assistant stage manager. 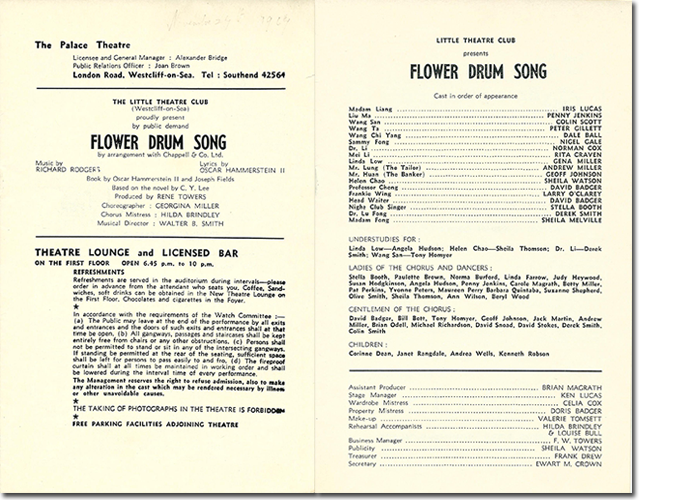 In September 1968, in her first production, Let’s Get a Divorce, she played “second maid”, while in Clarkson Rose’s last-ever Twinkle review, for the musical number ‘The Dream of Olwen’, she was credited as “Rita Craven and The Dancers”. The following month she appeared in The Girl Friend, in the dual roles of “hotel visitor” and one of the dancers. 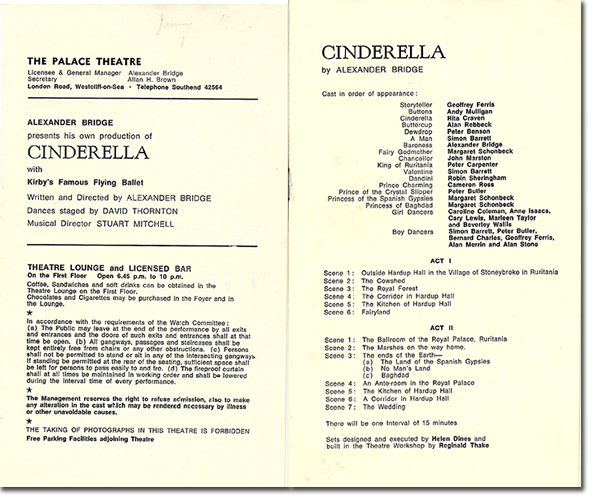 Finally, her moment arrived when she was cast as Cinderella, her first professional leading role, in Alexander Bridge’s Christmas 1968 pantomime. Moving away from the Palace Theatre, and changing her stage name to Gemma Craven, the actress’s ‘big break’ came when she was spotted by one of the producers of the film The Slipper and the Rose (1976) while performing at the Bristol Old Vic in The Threepenny Opera. 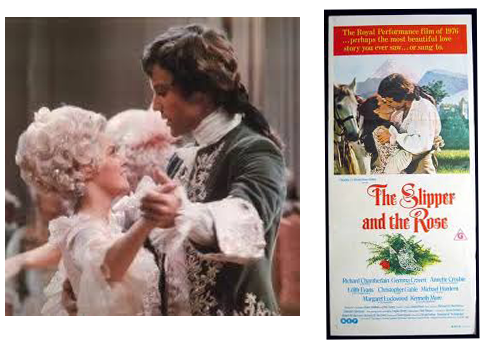 In an echo of her very first leading role she was cast as Cinderella, opposite Richard Chamberlain, in what the press reported as a ‘real life’ Cinderella story. Her subsequent career took her to the West End, where she starred opposite Tom Conti in the musical They’re Playing Our Song (for which she won a Laurence Olivier Award), played the lead role in South Pacific and appeared in Noël Coward’s Private Lives opposite Marc Sinden, Tony Anholt and his wife Tracey Childs. She appeared as Joan Parker, the frigid wife of Arthur (Bob Hoskins), in the original television version of Dennis Potter’s Pennies From Heaven (1978) and has made guest appearances in Robin of Sherwood, The Bill, The Morecambe and Wise Show, The Two Ronnies, Father Ted and Midsomer Murders. Her most substantial film role was as Minna Wagner opposite Richard Burton’s Richard Wagner, in the 1983 film Wagner. 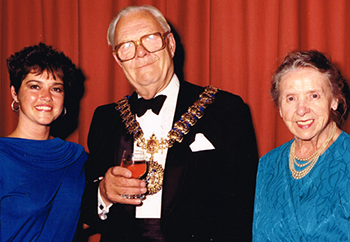 Gemma’s roots have remained very much in Westcliff and, on Wednesday 21st October 1987, she was a guest of honour at the Palace Theatre’s 75th birthday celebrations. In May 2005 she returned to the Palace stage in the Hull Truck production of Going Dutch. Speaking to the local press she fondly recalled her time there with Alexander Bridge, even though her recollections included falling off the stage (well, it does have, reputedly, the steepest rake in the country!) and the “unreliable boiler”, which “used to explode every so often, giving out an incredible smell”! On a rather more serious note, with the theatre facing yet another closure, the actress once again pledged her support for the (eventually successful) fight to keep the Palace open. In 2011, having watched with keen interest the Little Theatre Club evolve into the Little Theatre Company, Gemma was honoured and delighted to be offered the role of President following the death of Lady McAdden. This page was added by Ian Grant on 02/12/2014.